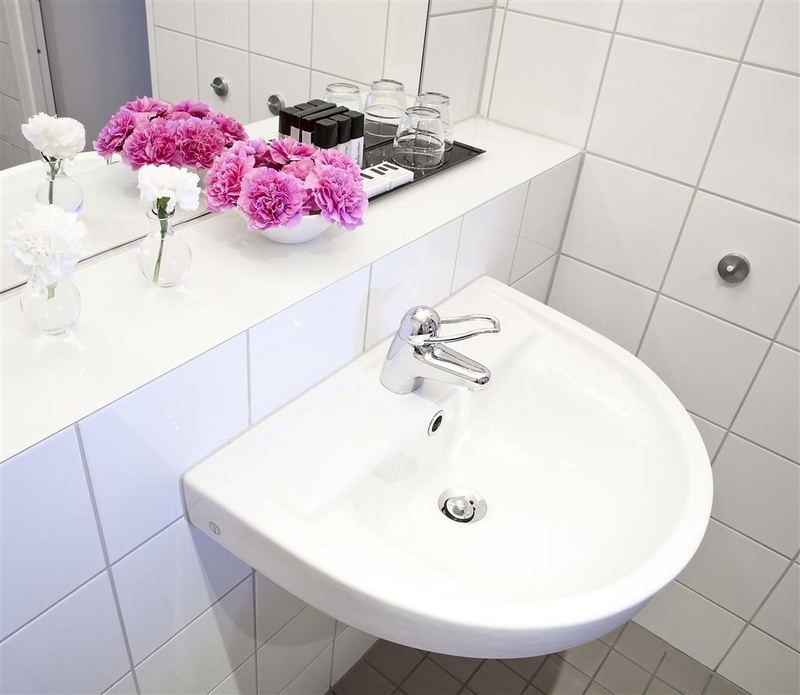 The Best Western Plus Hotel Mektagonen is ideally located in the center of Gothenburg. Come and experience our hotel near the major tourist attractions. Best price guaranteed and exclusive deals. Meeting room food services are available. 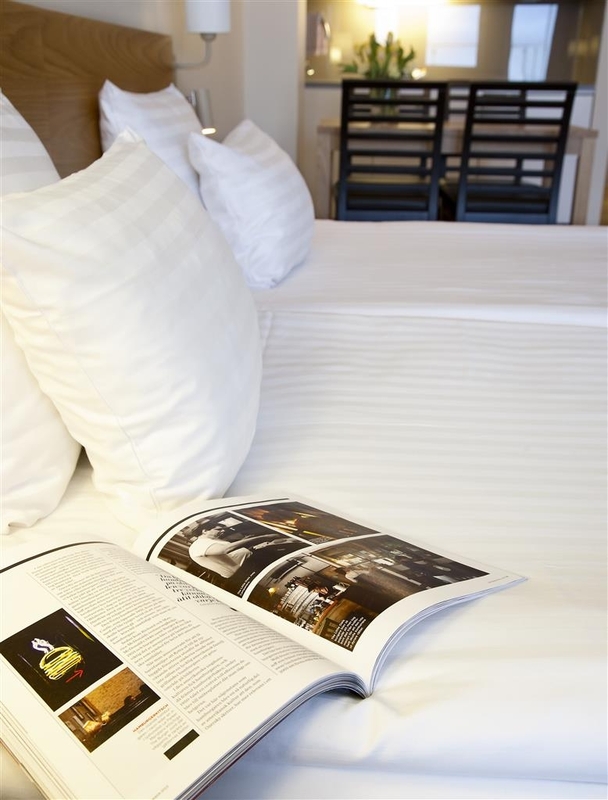 Our 149 fresh hotel rooms vary in size from 32 to 60 square meters. 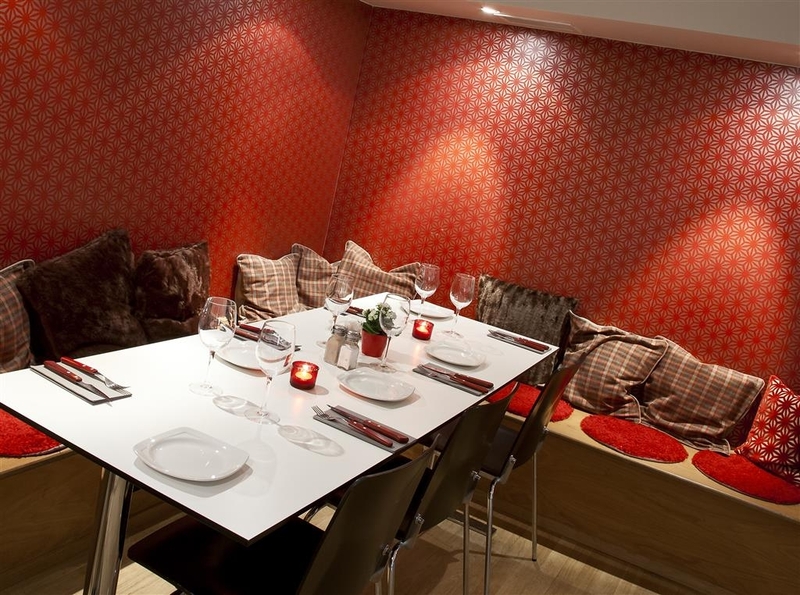 All rooms are equipped with their own cooking facilities. 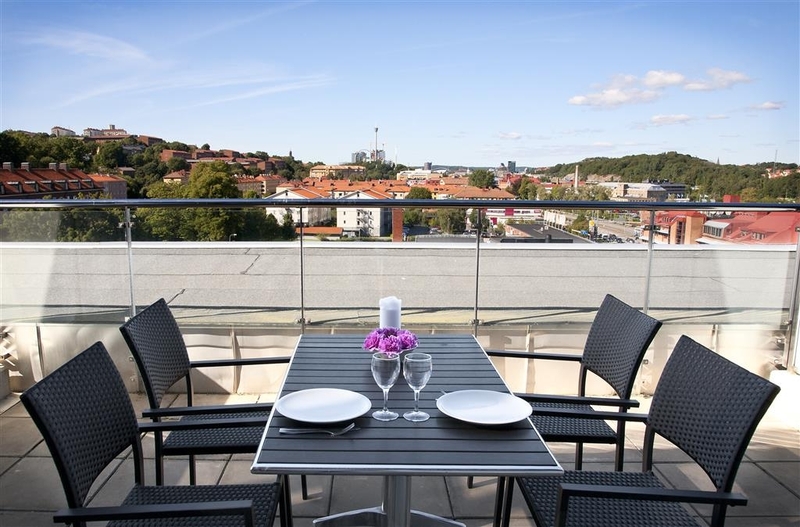 If you choose one of our superior rooms you can enjoy a roof terrace view facing Gothenburg's event street. In our suites you get the opportunity to enjoy your own sauna. 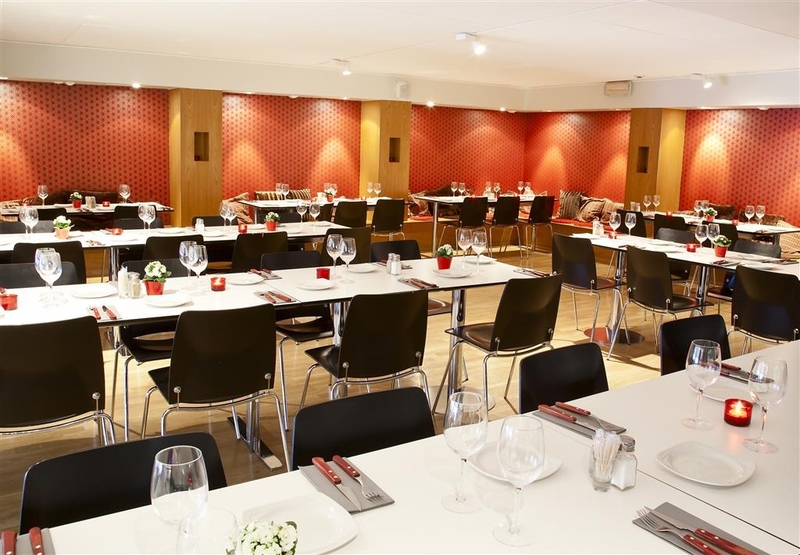 The hotel offers conference rooms, relax facilities, laundry and a restaurant. There is also a supermarket in the building, perfect if you want to cook for yourself in your room. Even if you are here for business or enjoying time off with family or friends, there is every opportunity for a great stay with us. 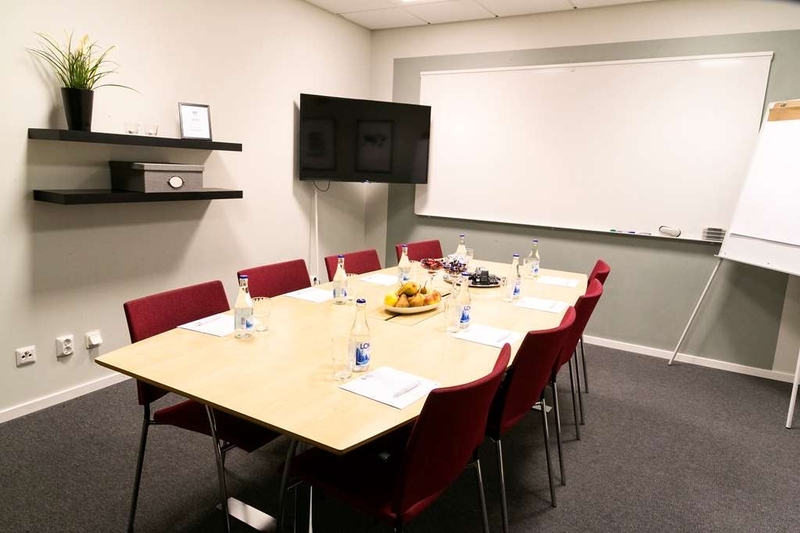 The Best Western Plus Hotel Mektagonen is in the heart of Gothenburg's event street were you can find Liseberg, The Swedish Exhibition & Congress Centre and Scandinavium is within walking distance. You can also take the tram, it's a trip of 10 minutes to the city. Our 24-hour reception service ensures your best possible stay. All rooms have dining area, sofa beds, bathrooms, with fully equipped cooking facilities, coffee & tea, flat screen TV, a hair dryer, an iron & ironing board and Internet. Enjoy your stay. We are a cashless hotel. "large room with wonderful bathroom & sauna"
Room was alright, but I expect slightly more of a 4-star hotel (mattress was too soft, atmosphere was a slight disappointment). Tram connection to the city centre is convenient with two trams going there regularly. We loved the spacious and luxurious bathroom and enjoyed the use of the free sauna almost every evening. Breakfast was enough, we especially enjoyed the waffles! "Nice Hotel with big rooms"
This is a nice and quiet hotel in Gothenburg. The Rooms are big and clean with a small kitchen. The staff are very friendly. The breakfast is good with several different choises of cereals, bread and other food. "Comfortable stay, great location, awesome staff!!" We had a superior room for almost a month and must say, our stay was very comfortable. The room was very tidy and had a well equipped kitchenette. The housekeeping/reception staff was very cooperative and polite, great service overall! Laundry rooms with washer and dryer also located in the premise. There is a gym and a hair saloon within the hotel area. Great location with supermarkets in the vicinity (one next door, Willy's and an ICA maxi 5 minutes walk from the hotel). Numerous restaurants also located in the vicinity. 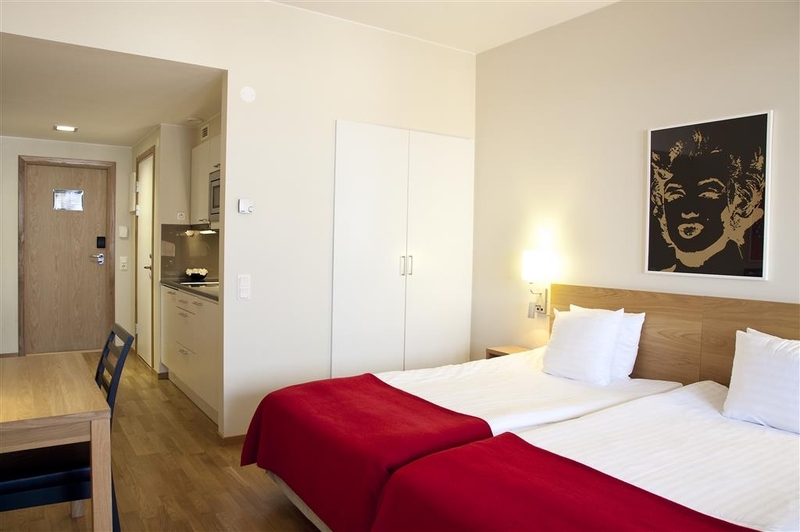 Good access to public transportation, two tram stops (Elisedal and Varbergsgatan) for lines 2 and 4 on either side of the hotel. Bus stops also located within 5-10 minutes walking distance. Ten minutes to city center and amusement park, Liseberg, by tram. Many thanks to the staff for making our stay so comfortable and nice!! "Best place for a long term stay"
Room size, decor, cleanliness ..everything too good. I stayed there from 25th Oct'18 to 11th Nov'18. Hotel staff very helpful and polite. Despite some construction near entrance, overall experience was great. Only thing, which may need some improvement is the restaurant. We had booked a room for three persons. As we checked in, there was no extra bed prepared for us on the sofa. I asked the receptionist about this, and he said there was a "bed-kit" in the closet. I am not very impressed that we had to make the third bed ourselves at 23.00 in the evening.... I have visited the hotel about three years ago, and I remember the breakfast was really good, and was looking forward to it. BUT, the breakfast this time was the worst I have ever had in a hotel. It is too bad, the hotel was worth a stay for visiting Liseberg. The suite was very nice, with a kitchen, and a sauna. The staff friendly and helpful. The building is attached to a medical building, with a grocery store next door. The beds and pillows (very important to me) were very comfortable. If I had to mention an issue, it would be that there was no rim around the bottom of the shower, which led to water all over the floor. We did enjoy the sauna. All in all, a good hotel, and would stay there again. Arrived late (11.30pm)for a short night stay during a business trip. I had to wait in reception for 25 minutes to get my pre booked room!!!! Nobody was there! I called and called without answer. An expensive 4 hour sleep! "Great hotel with kitchenette rooms"
I have stayed at the Mektagonen a number of times and it is excellent every time. It is a strange building that has a hotel and a medical centre/gym in the same overall structure. It is large though and there are many fresh and well appointed rooms - each with a small kitchenette with hob, microwave, fridge, sink and crockery/glasses etc. This is really useful if you are staying for a few days as there is a small supermarket next door so getting supplies is easy. The rooms are great with good TV, comfortable beds and modern spotlessly clean bathrooms. The room was clean and the bed comfortable. The staff were friendly and the breakfast was edible. Think staying in a tower block oddly populated with hotel rooms, business and labs (I know hard to imagine but it's true) and you have this hotel. "Good Hotel for work trip"
Stayed for 5 nights in August. base for our team as we installed a job 20 mins away. up early and back late every night. Good that we had the option of preparing simple food in our own rooms (not that we did) - plumped for the hotel bar menu which did the job and was actually pretty reasonable. Bar is only open till 10pm. food after 9pm is just pizzas which they make you eat in your room which is a bit odd. Breakfast served from 0700 is well done, coffee is nice and they provide take away cups if you want to get going with a brew. Staff are all amazing, keen and helpful. rooms are large, clean and functional. The wifi is good and strong with none of the usual bullchit. Our room was spacious with a separate bedroom, bathroom with sauna and a living room area with a kitchenette.The hotel is quiet even if there are a construction area in the property next door. Breakfast is above average and the air condition is a big plus when the temperature is close to 30 degrees outside. "Very Impressed about everything at this hotel"
Our room was spacious with a good-size kitchenette (including a fridge and microwave), bathroom and living room area. The bed was large and VERY comfortable, and the shower was amazing. Although our window faced the construction area, we never heard any construction noise in the evening or at night. The breakfast was included, and although I wasn't particularly fond of the eggs, there were more than enough choices to compensate for it. The staff was very helpful; they gave us directions for public transportation, and they booked a taxi for us the night before we checked out. Also, the hotel is conveniently located; it's just a five-minute tram ride to downtown, and you can buy bus/tram passes right at reception. Overall, we really enjoyed our stay and would not hesitate to stay there again if we ever have the pleasure of returning to Gothenburg. ...unless you like living in an industrial area with lots of construction going on all around the hotel. Unless you like a faceless building with mixed uses (Hotel, businesses, small clinic, to name but a few). The room was functional, not welcoming, and the bed reallyreally small (1,40) for two people. The cot we ordered wasn't there, and the cooking place didn't work. The windows were dirty. The “view” was on a car park, and the other wing of the building 15 meters away. So why 2 stars? The breakfast was nice, and the staff helpful (cot came within minutes, the cooking place was replaced quickly). Cannot recommend, sorry. "Prepare to be ripped off by rude staff!" Booked a family room and had to pay extra to bring my family! I have never been greeted as rudely and coldly by hotel staff. The manager will definitely not be working when you ask for them- I can guarantee you that. Greeted coldly and rudely in front of family- be warned and explore other options. "Great place to stay!! Wonderful staff!" The rooms were big with a large living area, bathroom and even a small kitchen, beds were comfy, the staff was very helpful!! Overall, I had a wonderful stay. Thank you! I would definitely choose to stay at this hotel again. The rooms are a mixture between hotel rooms and apartments. Spacious and equipped with a kitchenette. Very clean and equipped with most of the things you would need. However, the services are nothing special and I would expect a bit more from a 4 starts hotel with that price. For in stance, breakfast is poor. 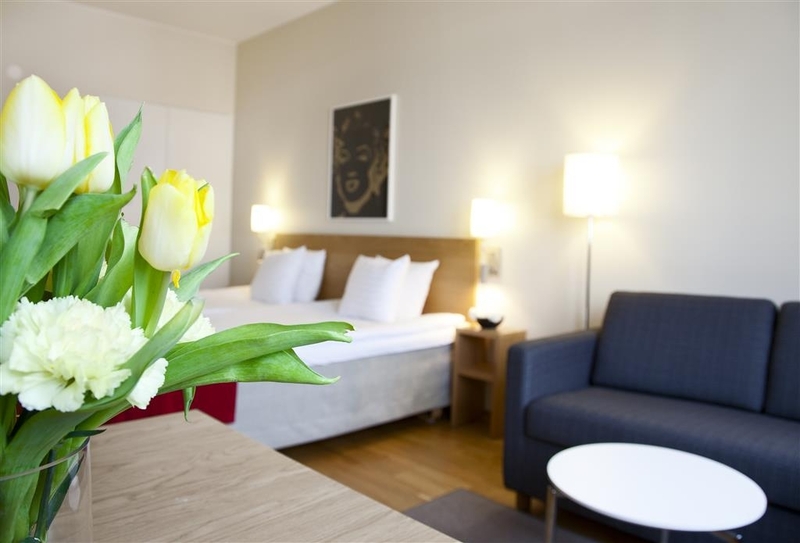 "Great stay near lisseberg and universeum"
I stayed in this hotel for four weeks and it was a mixed experience. Let me first go to the positives: 1. Stayed in the 8th floor room with balcony. Really spacious room. Some of my colleagues stayed in the 4th floor which was just half of what it is in the 8th floor. 2. The kitchen here is really good with an induction stove and enough utensils for cooking. 3. The balcony is a nice high place to view the city. 4. Located very near to the tram station. Now, the negatives. 1. The internet here was a pain throughout the stay. We came here for a business trip and we had to work from hotel. But internet kept getting disconnected and it send a bad message when we are in online meetings. They accepted that there was an issue and then confirmed that it was solved but it never got resolved as the frequent disconnections continued. The password they gave is valid for a week. At the end of the third week, they gave the password for the fourth week without even knowing that they are giving already expired passwords. I had to come back to reception at least three times to get new passwords. Finally, the receptionist connected me to a different network which was faster but the disconnection problem was still there. 2. The breakfast was strictly european. I requested for at least 2 or 3 Indian dishes. Almost 15 Indians were staying in that hotel for at least 2 weeks and they didn't even consider offering a small Indian menu. In the days of Youtube where every dish can be seen from youtube and cooked, this was really inhospitable from their part. In India, most of the big hotels serve european breakfast and also make the Indian dishes less spicy for the sake of European guests. When I requested for some Indian dishes, they gave a terse negative response and said we have to live with fruits and egg. If you respond in such a way, I don't know what to say. 3. There was smart TV in one of the rooms in 8th floor but none of the other rooms has the smart TV. When you pay almost 12700 rupees per day, you could expect at least a smart TV in the rooms. 4. No swimming pool in this hotel. Overall, the presence of a kitchen was a soothing point for me because that gave me a chance to cook and eat whenever I felt home sick. The rooms and bed was nice but they could do a lot better particularly when they are charging rates of four star accomodation. Very nice, clean, well appointed hotel. Breakfast is fantastic. Dinner menu is limited, yet food and drinks are really well done. Nice and helpful staff. Very close to tram, and next to grocery store. "Comfortable, spacious room. But on the expensive side." Comfortable and spacious room. Heating was unfortunately not working well during my stay, but staff offered to provide a portable heater. Although I didn't use it, the room also had a fully-equipped kitchen, which is handy if you're looking to stay for a few nights. Overall, a relatively comfortable stay, but not great value for money. "Basic hotel with spacious rooms"
The hotel room was really spacious and equipped with kitchen accessories (incl. microwave and refrigerator). The bathroom was also spacious, clean and warm. There were lot of space to put your hygiene supplies. Breakfast was fairly typical. Nothing special to mention. There weren't gym in the hotel, but you could use the external gym in the same building at a discount. Basic ok hotel to stay. Probably at its best for families for longer stays. 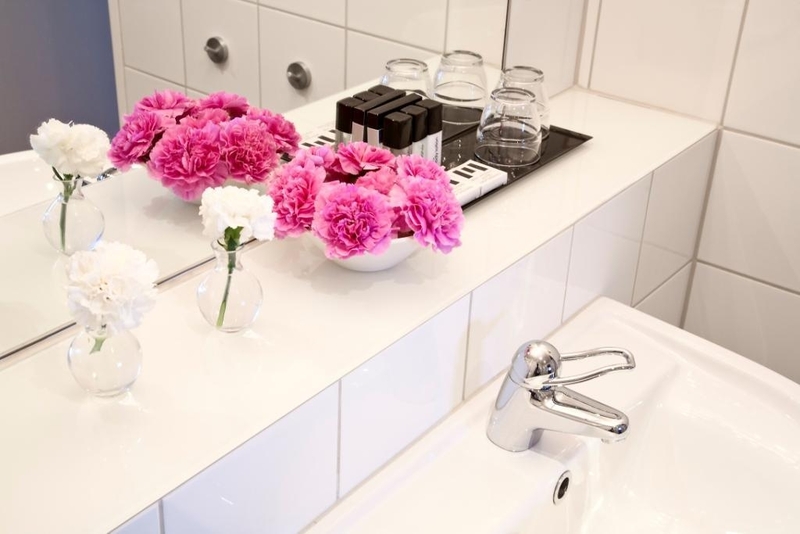 "Best hotel to stay in Goteborg. Coming here for 2 years now and havent found anything which can be complained about." 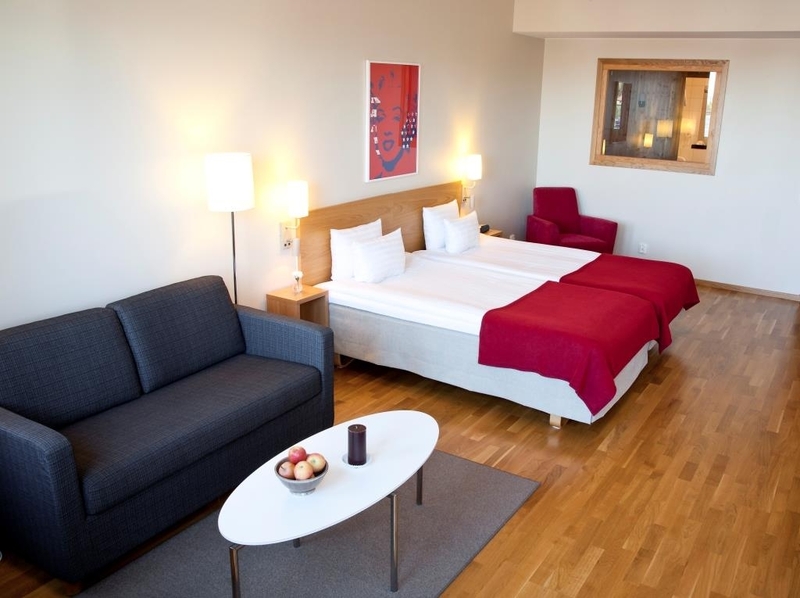 Best hotel to stay in Goteborg. Coming here for 2 years now and havent found anything which can be complained about. The rooms are spacious. Breakfast is good. Most importantly, you feel at home when u interact with staff from reception and hotel. 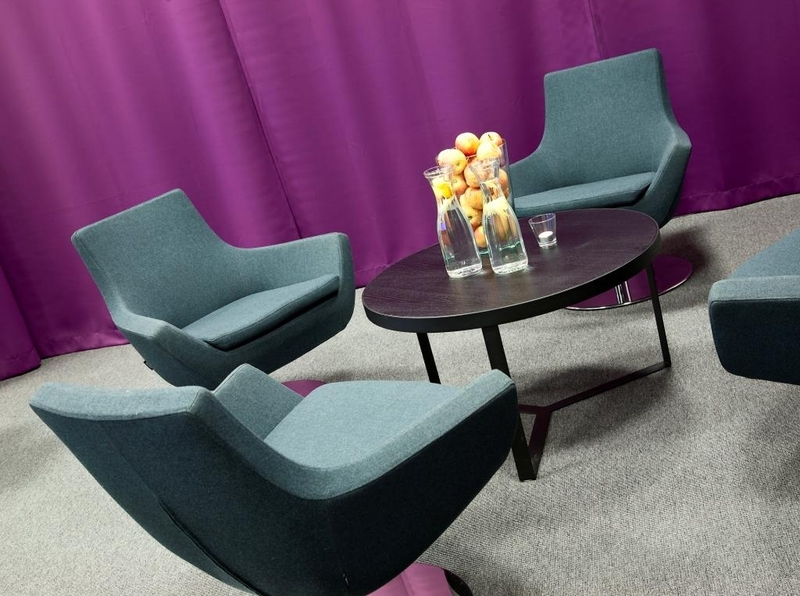 I have been regular visitor to Gothia Towers which is near by... that is good, but somehow it misses the connect to visitors. Its great with amazing bars and restaurant, but if u need to bring some needed solitude and still feel homely... this would be hotel i recommend. I had been here with my family as well, and my kids liked it. Thank you for your kind feedback. It makes us really happy that you appreciate our staff. This is very important to us and it makes us really proud that you comment on this. I hope you come back to visit us soon again. Best Regards, Lisa with all the staff! This hotel is very recent and rooms are simply great. 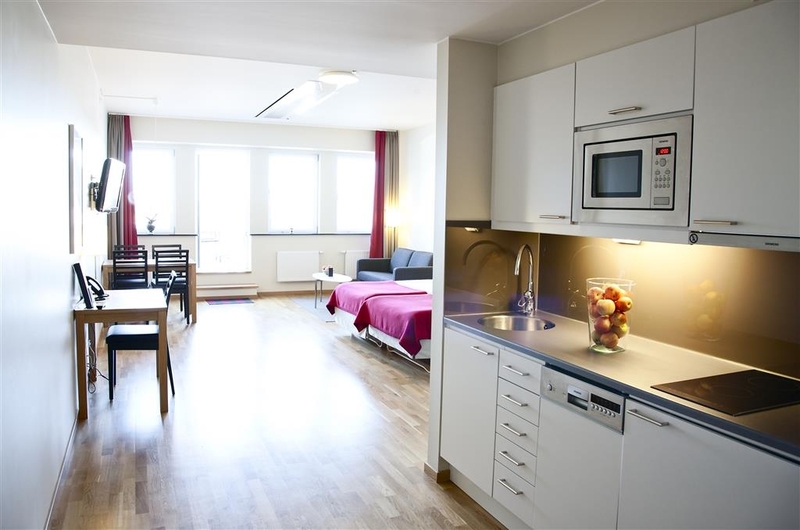 Very spacious, well equipped kitchen, large clean and modern bathroom (which is not often the case in Sweden), quiet. Clean and free laundry room. Good buffet breakfast. Nice and friendly staff. Location is good, few tram stops from downtown and close to Lisberg park. Unfortunately we chose the public parking lot next to hotel, recommended by the hotel staff for better cost over several days (parking is available in hotel but much more expensive). We had a vandalism act overnight on our rental car (one tire knife destroyed) which cost us money and half day to repair on a lovely day. So we do not recommend do use this parking, despite in general Sweden is a safe place. All together a very good experience and warmly recommended. Good clean hotel, near the tram. So easy to get around. Breakfast was not that good, I expected it to be better at a 4 star hotel. Rented a suite with sauna and was very pleased with it. Clean hotel and friendly personal. "all good! (just how I am used to BW standards :-) )"
"Definitely stay here if you are driving"
This hotel may not be the best hotel, it has an average breakfast, and was at times quite noisy due to a group of other guests, but it perfectly suited our needs as travelers driving around Scandinavia. The best part of the hotel was the free use of their guest washers and dryers on the fourth and sixth floors. There is a sign-up sheet for the dates and times you want to use the machines. We found they were often simply used on a first-come, first-served basis. You will need to use your own laundry soap, but you can easily find some very inexpensive laundry supplies at the Willy's supermarket on the ground level of the hotel complex, amongst other businesses. You could also buy the soap from the hotel. The room was fairly spacious and had a small kitchenette with a stovetop, microwave, refrigerator, cooking & eating utensils, pots & pans, dishes, and cups. (Keep in mind that you have to do your own dishes, or pay about US$25 for the hotel to do them, but they provide dish soap and other cleaning supplies.) We found Willy's to be a very nice grocery store with reasonable prices and shopped there for a few meals in the room. 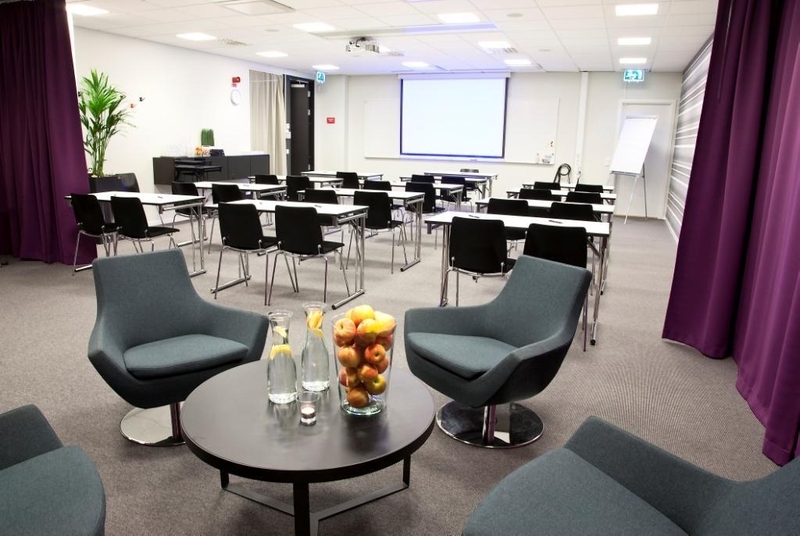 The hotel has an on-site secured (at night) parking garage at a cost of SEK 145 per day. (Note that the city of Gothenburg charges variable prices for street and parking-lot parking, so bring a credit card and/or coins if you drive. The Parkopedia app was very useful to compare pricing.) The fitness center is a separate business at the site, for which the hotel will sell you discounted passes. We did not use the fitness center. I can't remember the price, but we thought it was a little expensive. We got fresh towels and toiletries refilled every day. Our sheets were only changed once during our four-night stay. The breakfast was very basic, but they did have a non-dairy section and an orange- and grapefruit-juicing station. This is also a cashless hotel. Hotel Mektagonen is a very well managed hotel. The rooms are extraordinarily big — they are small apartments with kitchen, living room and everything you need for an extended stay. Highly recommended. "Great hotel,nice large rooms with excellent breakfast"
Great hotel,with trams stopping across the road to get into the city centre.Good large rooms,with kitchen facilities.Staff very friendly and helpful.Excellent breakfast .Ifu get the bus from the airport,the bus is only 4 tram stops from the hotel . My family was visiting me for a few days in Sweden and we chose this hotel (im a scientist at chalmers and my family traveled from S Korea). We got a suite room for 4 people. It was very roomy and the staffs were very kind. It came with private sauna so we enjoyed a little bit of Swedish sauna as well. Very nice location and great breakfast included. Overall very nice experience. Tusen tack. We stayed at the Hotel Mektagonen for 4 nights including over a weekend when it is very busy with local people and groups of young people. Despite it being busy the service was excellent, rooms were spacious and quiet and the staff very helpful. As it is away from the City centre it is very competitively priced. Its location is actually very convenient as the tram stop is virtually outside the door and it is only a 10 minute ride into the Centre. This can be made virtually cost free if you buy a Goteborg Card which includes free public transport. Compared to City Centre hotels this is a very cheap hotel which is far better than you would expect. We would use it agaion if we went back. At the time of our visit there was a building site outside the front door, which meant a walk around 3 sides of the site but I would expect that the normal pedestrian path will be in use by 2017. This hotel is great for people who want to be a bit independent as it has kitchenettes in the rooms with fridge, microwave, 2 ring cooker, sink, crockery and cutlery. The rooms are very spacious and comfortable. Staff were helpful. Breakfast was wonderful! The only downside just now is that there is building work going on just outside which made access slightly less easy than it might have been. However this wasn't a real inconvenience and I wouldn't let it put you off going there. In fact we plan to go with our daughter who uses a wheelchair at Easter next year. The disabled rooms are the best I've ever seen! Soon after I booked a stay at the Best Western Plus Hotel Mektagonen, I began to worry. It was some distance from downtown Gothenburg, and the surroundings were far from picturesque--parking lots, a construction site, not much more. When we arrived, my fears seemed justified: the taxi driver didn't know where it was, and thought we were nuts not to have booked a hotel downtown. 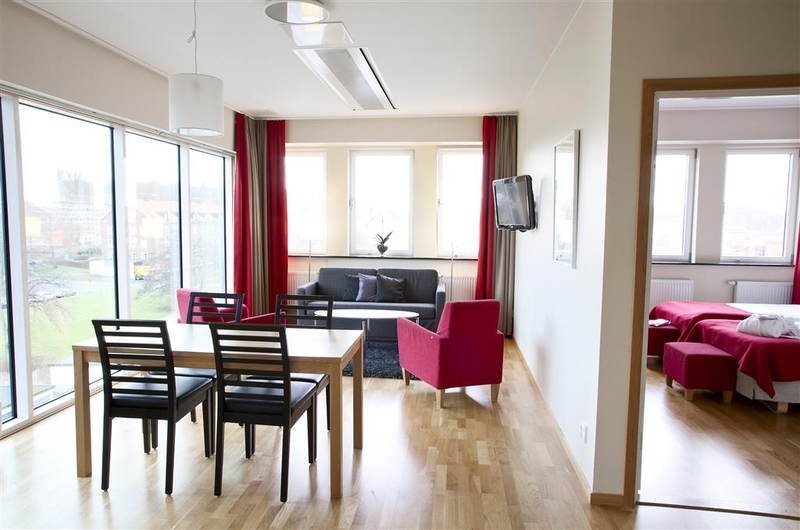 But Mektagonen is actually a good and convenient spot for a stay in Gothenburg. First the downside: A big construction site right outside the front door. The hotel's in a building shared with a number of businesses, and it's a hike from the front desk to the hotel rooms. The restaurant has a very limited dinner menu (hamburgers, chicken Caesars, pizza). And no other restaurants are available for blocks around. Even so, you get a spacious room with a kitchenette and a good bathroom. The view may be just a parking lot, but the room is quiet. Right next door to the hotel is a Willys supermarket, where you can build your own Caesar salad for very little and enjoy it in your room. The hotel's breakfast is far better than its dinner. It includes the usual Scandinavian cheeses and cold cuts and fish, plus waffles, cereals, fruit, squeeze-it-yourself orange juice, scrambled eggs, bacon, and so on. The coffee is good. While you eat, you can watch the construction crew building the huge apartment complex and the commuters passing by via bikes, cars, and trams. It's a bit of a walk around the construction site to reach the tram stop, but the front desk can sell you a one-day or three-day pass and you'll be downtown before you know it. Once there, it's easy to get around; we went out to the ferry terminal for the Gothenburg archipelago and spent a pleasant time on Styro, one of the islands where cars are forbidden. People get around by bike and golf cart, or just walking. We also used transit to get to the Gothenburg Botanical Garden, but beware: the Garden stop is across a busy highway from the Garden itself, and you should plan on a longish walk to the nearest overpass and then more walking to the entrance. It's a gorgeous garden and the cafe serves a good lunch, but if you have mobility issues you may not have the time or energy for a proper tour of the Garden. Getting back to the tram stop means another long walk. As we went in and out of downtown Gothenburg, the downtown hotels looked less and less attractive. 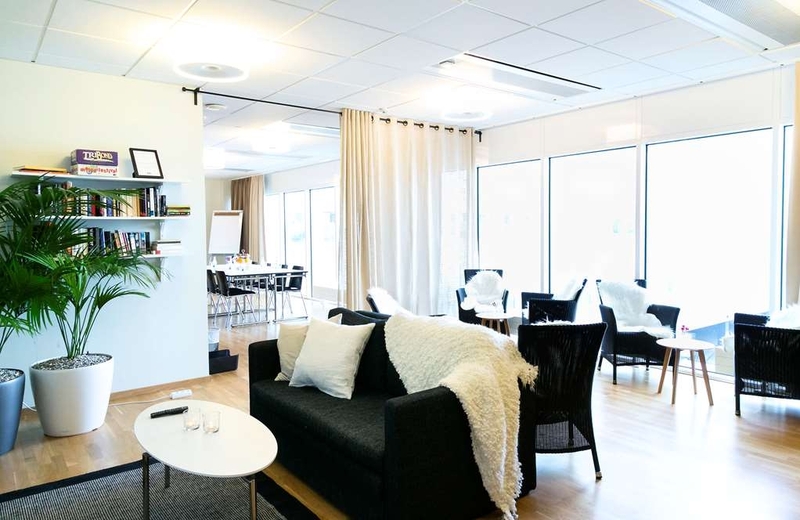 Once back at Mektagonen, we could relax, enjoy our improvised Caesar salads, and relax. So while the hotel is clearly intended for a business clientele, even elderly tourists like my wife and me can enjoy it as a comfortable base from which to explore an interesting Swedish city. "Nice Hotel, A Little Tricky to Reach with Construction"
We'd have appreciated specific directions from the hotel about how to enter, considering that the usual entrance is blocked by a big construction project. They sent a pre-stay email, and could easily have added this information and saved us a lot of frustration. There is no extra signage outside, explaining that it is necessary to walk all the way around a huge block. It is not a big deal if you know, but it was not fun making wrong turns while hauling luggage. We arrived on the tram and could not figure it out. The hotel shares a big office complex with several companies and a big gym. Someone at the gym let us in the back door. Once checked in, we liked everything about the hotel. Our room was large and modern with everything we could want. Although the hotel was fully booked on the weekend, we never heard a sound from other guests. We were surprised to find a huge breakfast room full of people including lots of children. Breakfast buffet was excellent and efficient even with quite a large crowd. Staff were so pleasant and helpful. The tram was very convenient and frequent, only 3-4 short stops from Central Station. A very nice stay. I read elsewhere a review that spoke of the breakfast at this hotel as not that great but we found it to be excellent. They had a wide variety of food. Our room was large with a VERY large shower and it was quiet. Right beside the Hotel is a small grocery store which is convenient for fixing a quick meal in your room which has a small kitchenette. They had a laundry down the hall that could be used and it was on the light rail line that takes you into the central city in only a few minutes. I would definitely stay there again! 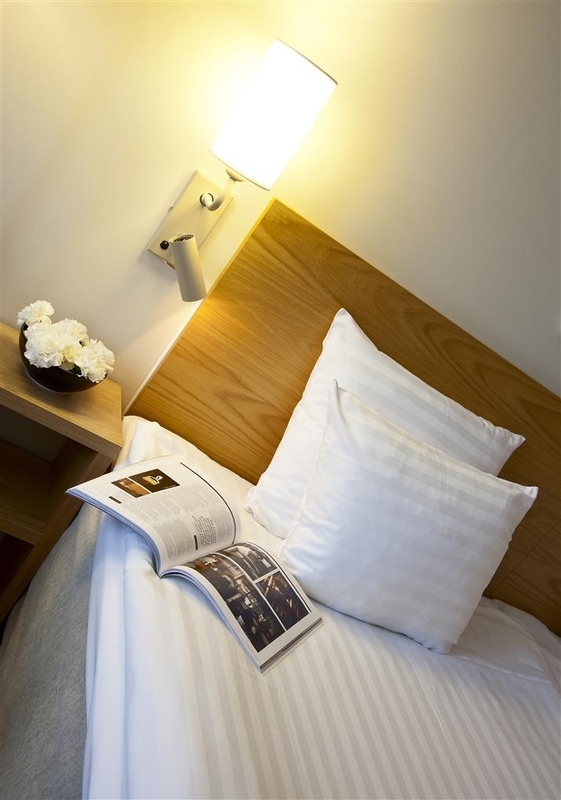 "Clean and comfortable, and that's just the beginning"
"Great hotel with good transport links. " Stayed for 3 nights with a friend. Hotel was clean and comfortable. Room was large with a mini kitchen, dining area and sofa. Bathroom was clean with a lovely shower. Hotel extremely close to 2 tram stops which get you to the center of Gothenburg within 10 minutes, however it is also a very doable walk. Breakfast is included with lots of choice of a full range of traditional Swedish food. A supermarket is next door which is handy if you plan to use the fully equipped kitchen in the room! Overall great stay and would definitely recommend to all. "Functional Hotel and good value"
I stayed here for a few nights while I was visiting a client and had a positive experience. There are a lot of roadworks going on near the hotel so getting there from the tram stop can be a little confusing. But the hotel is very close to the tram stop which is great for getting in to the city as it is a little out of town. My room was big and clean. It is an unusual set up as I think there are offices in the same building but the service was still excellent, and the breakfast was great. All in all it was a good stay. The location worked for me, but may not for everyone. "Superb room and decent location"
The hotel is nothing special to look at and has a big building site next door to it making the walk from the tram stop a bit of a trek however once inside the hotel is modern, large and welcoming. Our room was large and spacious, with a small kitchenette area and decent sized bathroom. The sofa turned into a bed for our 5 year old and we had a very good stay here for 2 nights. The room was quiet with no noise at night which is a must for me and we had two good nights sleep. We had a small problem with the alarm going off in the room safe however this was rectified by a helpful member of the hotel staff promptly. Breakfast was a bit of a canteen style affair, the usual breakfast pieces you would expect when staying in Sweden nothing spectacular but somewhere you can get some toast and cereal. Location was decent despite the building works, tram quickly takes you where you want to go and was conveniently situated for our trip to Liseberg and The Universeum (both must do's in Gothenburg if you have kids) Overall I wouldn't hesitate to stay here again when visiting Gothenburg. An OK hotel, nice clean room and pleasant staff. Breakfast was classic Swedish but I'm not into eating fish heads or drinking yaks milk. Very close to the city centre and ample parking. Reasonable price which is pretty fair for a country as expensive as Sweden. Not far from the airport which was a bid plus. "Probably the largest rooms among Goteborg hotels"
Yes.. I am not joking, have seen quite a few hotels in Goteborg and I must say Best Western PLUS is actually a big PLUS in terms of room size. I had a very comfortable stay, didn't feel like I was staying in a cramped hotel room. Pros- 1. Kitchenette in the rooms, very convenient for a family, especially with a kid. 2. Super convenient location- Very close to the tourists attractions 3. Tram stop is right next door 4. A hypermart is right across the road and Willys is on the ground floor- makes it super convenient to buy your daily stuffs 5. Free laundry machines on two floors (OMG !!! can you believe it !!) Cons- Couldn't find any major negative. Only thing that is noticeable is the bland lobby. That's probably because its housed in an office building. The room was very nice and very big room, the staff was very helpful and kind, there was a tram service to the centre at walking distance. Although there were a building site opposite the hotel, there was no noise inside. Travelling as a couple with a teenager our one bedroom suite was super convenient. Black out curtains kept the room dark at night. Room was quiet. Bathroom was spacious, clean and well equipped. There was a little kitchenette but we didn't get a chance to use it. Being allergy sufferers we appreciated the hard floors. The breakfast was excellent and catered to a large variety of tastes and needs from a more North American scrambled eggs and bacon to cold cuts, yogurt, breads... We had dietary issues (celiac and lactose intolerance as well as allergies) but we all ate well. There was a separate section of GF breads and cereal (with ingredients) as well as lactose free dairy products. The breakfast being included added a lot to the value of the stay. I found the staff very helpful with tips on getting around on the tram. While the hotel is not right downtown, it is right on a tram line. In minutes a person can be downtown. We went out to the Southern Archipelago right from the hotel on the tram and ferry. It was very easy. 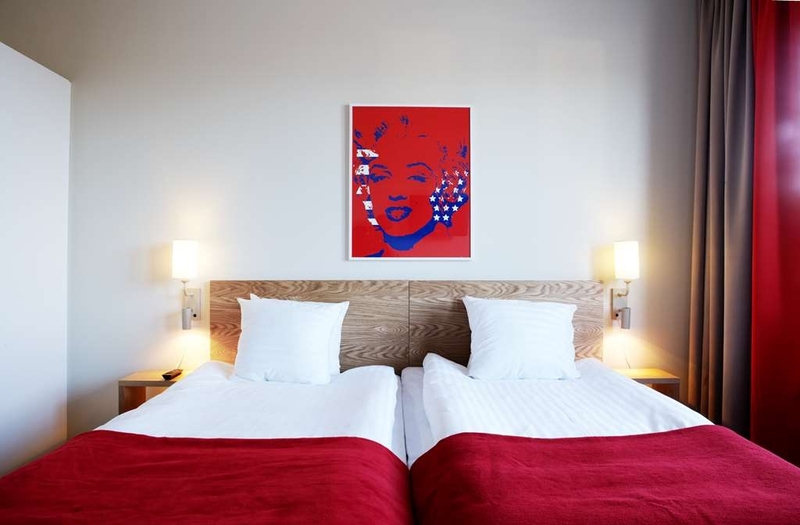 I would highly recommend this hotel and will be staying there the next time I am in Göteborg! "Don't be fooled by the exterior!" This hotel is part of an office block with a supermarket on its lowest floor, however once inside we were greeted by very helpful, friendly receptionists who were able to provide advice regarding tourist sites (get a Gothenburg City Card if you're here any duration). The BBQ Steakhouse within has quite a limited range of dishes including pizzas, but reasonably priced and tasty, and served in a timely manner. 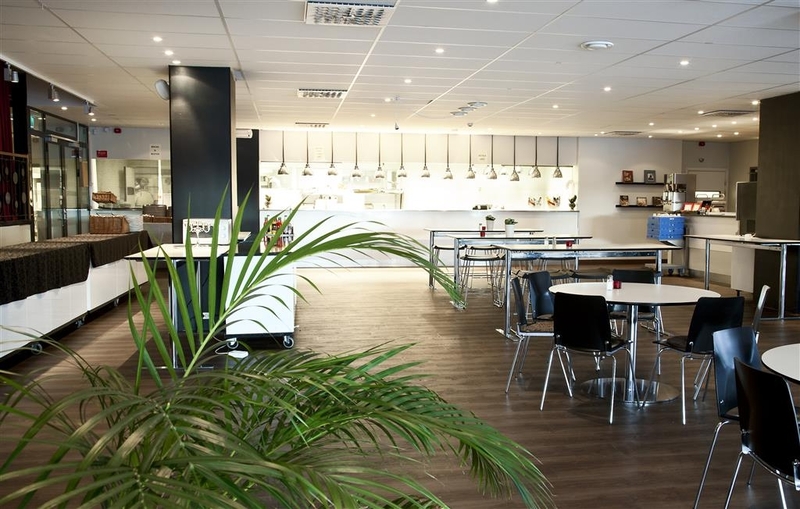 Breakfast is a large Continental buffet with plenty of choice and clear indications as to what different products are in Swedish and English. Parking is available in a protected area beneath the hotel at 145 SEK per day but there are excellent bus and tram links so once parked it is unlikely to move until time to go home. "Large rooms, pet friendly hotel"
My husband and I and our dog, Harley stayed at this hotel for 1 night. The staff is very service oriented, the room was large (approx 30 square meters), quiet as we requested, very clean, and came with a spacious bathroom and well equipped mini kitchen. A supermarket is next to the hotel. Breakfast with large selection of cold cuts, scrambled eggs, fruit, fresh pressed orange juice etc.. is included in the price. Parking is 145 SEK/night and for those who travel with pets, there is an additional fee of 250 SEK/night and per pet, which is what most pet friendly hotels in Sweden charge. Overall, a very pleasant stay and we would definitely recommend this hotel for anyone who travels in business/leisure. Visited as part of a trip to liseberg - hotel has good tram links despite liseberg being about a 15-20 mins walk. Hotel was clean and staff were friendly. Room was spacious although having two single duvets on a double bed was a bit peculiar. Would certainly stay again when I return to liseberg the future! 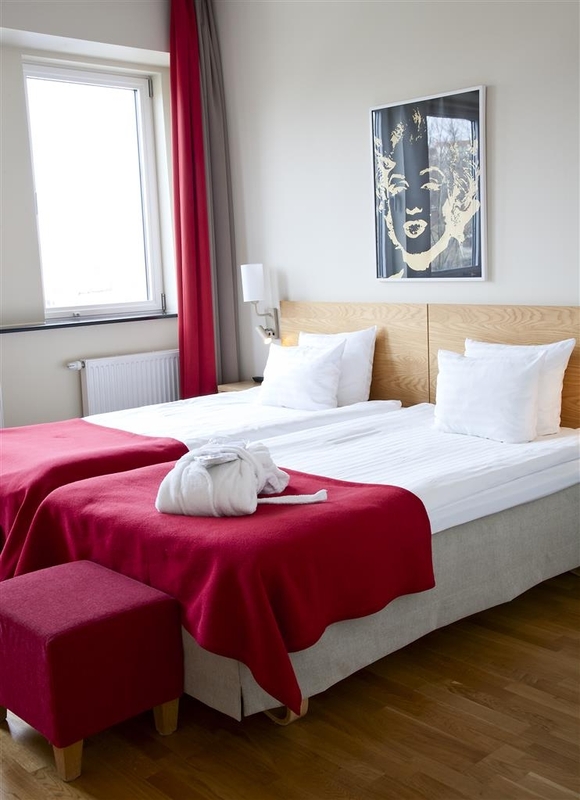 "Hotel with convenient location and spacious room"
Hotel is located near Liseberg, ca. 10 minutes by working. Room is spacious with mini kitchen and dining table for 4 prs. Car parking just next to the hotel, 145 kr per day. Goodbreakfast, this time they had fresh juice corner where guest can make their own juice, orange or grapefruit. Convenient for those who want to have option for making some food by themselves instead of dining outside. Always good to be back here. Ongoing construction of housing blocks just front of the hotell, however, did not notice any particular noise during our stay at this time. Housekeeping staffs seemed to be busy, they forgot to refill the necessities at the bathroom. 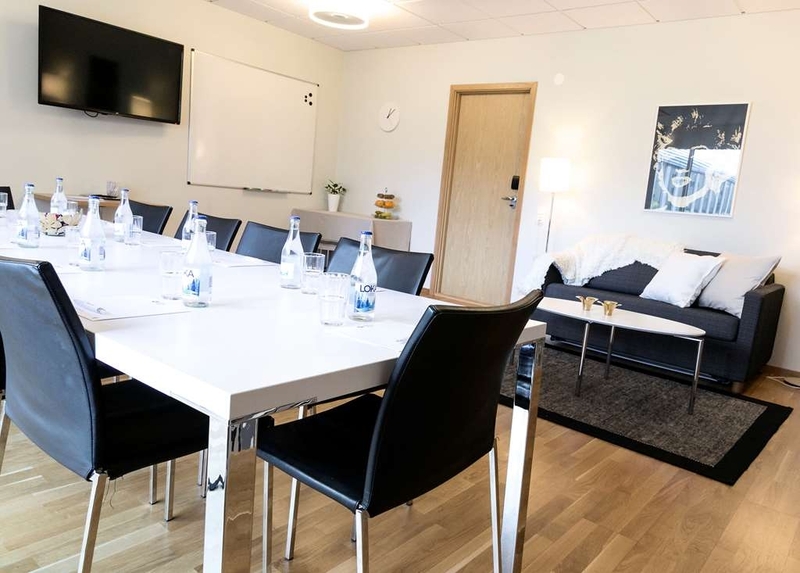 "Perfect for our Liseberg visit"
Stayed two nights in July the rooms is big and spotless, location are good if you want to visit Liseberg it is only about 15-20 minutes to walk there. Breakfast was good a lot of choices, bed was good, nice and clean bathroom. "A Jewel Located in an Office Building"
What a fabulous hotel! Don't be fooled by its quite unattractive outside. The inside is amazing! 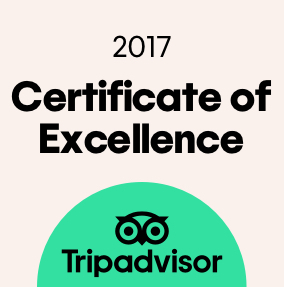 We were visiting friends in Gothenburg and I found this jewel based of the reviews on TripAdvisor. When we arrived I was rather shocked by the outside. It looks very much like an office building from the 1970s. The picture on Best Western's website was obviously done by a professional and shows just a small portion of the building. However, don't let that stop you! When you walk in to the reception area, it's like you stepped in to another world. Very elegant and the staff was quite friendly and helpful. Our room (#519) was modern, spacious, quiet and just lovely. 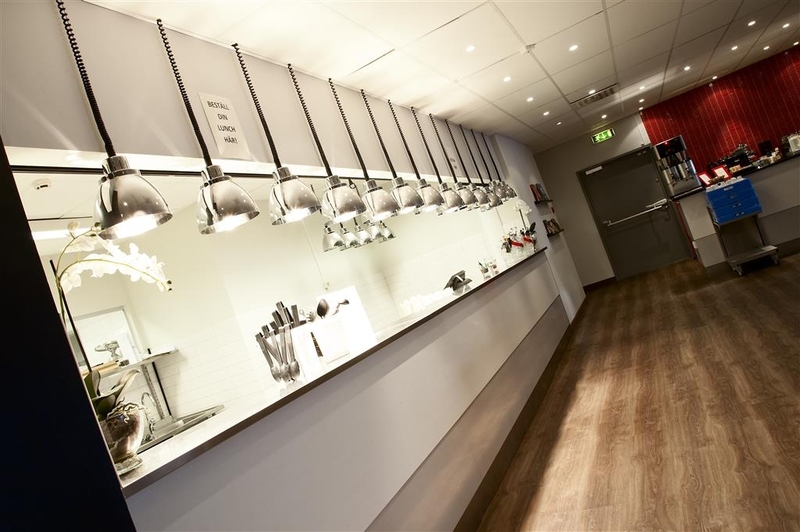 There is a kitchenette where you can prepare meals. It has a small cooktop, sink and utensils/cups/glasses are provided in the cabinets. There is a small refrigerator for food and drinks. The sitting area was also quite spacious. With a table and 4 chairs and a small sofa with coffee table. The bathroom was very big with a shelf for my “beauty box”. The lights dimmed in the bathroom which made those middle of the night runs less painful on the eye. The shower was quite large. The one complaint (and it's minor) was that the hand-held shower head did not fit properly in the holder and there was not a stable place to put shampoo, etc. Towels were big, white and fluffy and there was even a towel warmer in the bathroom. Black-out curtains kept out the perpetual Swedish summer sun. The hotel is in an area with office buildings on one side and a nice residential area on the other. It seemed quite safe. I saw people out walking to get to the streetcar which was just around the corner. It's quite convenient for going into the city. It's located a little way out from Gothenburg's old town and tourist area. The hotel is located IN a business building. I'm not quite sure how all that works but I think there are three connected towers. Parking was easy although they did charge extra (145 SEK per night, about $17.00). The lot is located in the building and is gated. The access entrance to the hotel (not the main entrance) was quite convenient to the parking lot. This seems to be more of a business hotel than tourist hotel, but it was a wonderful retreat at the end of a busy sightseeing day. It is air conditioned and it worked well and quietly. Our room and the hotel in general was very quiet (we were there on a weekend). Breakfast was truly amazing. It was more than anyone could ask for. They even had a station where you could squeeze your own fresh orange juice. In addition to cold cuts, cheeses, bacon, sausage, scrambled eggs, cooked eggs, vegetables, pastries, juices, breads, cereals, yogurt, and so much more, there was a waffle bar with berry toppings. Breakfast was a real treat! On the main entrance side of the building there is a big construction site. I believe they are building condos or apartments. We heard NO NOISE…but we were there on a weekend and our room faced the inside next to one of the towers of offices. We had a view of the offices next door, but I didn't care, we were out of the room during the day anyway. I'd be sure to check on the noise level if you plan to stay during the week and you are a late sleeper. Additionally, right next to the hotel entrance is a WILLY:S discount grocery store where you can stock up on snacks and drinks. We bought cold cuts and bread to enjoy a light dinner both nights. Overall, I was sad when we had to leave. I wanted to stay longer and explore the city more. I think this is a perfect place to stay when visiting Gothenburg and I truly look forward to returning. Thank you for a wonderful experience. "Good hotel, bad placement "
A good hotel. We got a very big room. It's placement is a bit outside, but not far from Liseberg amusement park. Nice staff, clean and nice rooms. But nothing to see outside, beside parking and railway. Quite expensive, but maybe due to season and Gothia cup. Thank you for your feedback! I hope you come back to visit us soon again, Best Regrads, Lisa Bengtsson, Reservation Manager. "Good cheap clean Hotel, A bit out of the centre"
"excellent location and great team"
I am traveling quite often to this hotel and the location is perfect. It is quite close to city center and nearby tram station. All the people from front desk are very friendly and helpfull. I strongly recommend that place for business or tourism. A small kitchen is included and the standard rooms are big. "Very practical and modern hotel"
The Mektaggon Hotel has rooms with well eqipped kitchens, so people can avoid high restaurant prices! A super market is just In the neighborhood! The Tram ( streetcar) station is just a quartermile away! Very friendly and helpfull staff is very capable! The rooms are bigger than normal Hotel rooms! We stayed at this hotel at a short visit in Goteborg for shopping and Liseberg. The hotel is close to Liseberg, so the location was practical. The hotel rooms where large, clean and silent with comfortable beds. Nothing special about the decoration / interior, but it looked good enough. The breakfast was quite good, but I sort of expect more from a hotel breakfast. Directly on the tram line. Security is perfect. Staff is very good. Perfect English all of them. Very Flexible staff. They called taxis for me even off site. I was lost late at night called them read the bus stop were I was and they phoned an official safe taxi for me. Super experience. Stay one night at Best Western Mektagonen and we are so satisfied with our choice to stay at this hotel. Our room came with sofa bed which makes our sleep is so comfortable. The kitchenette also help us to cook rice for our son. The location is a bit far from center but the tram stop is just 50m from the hotel. Willy supermarket is helpful for hotel guest to find anything for their stay. 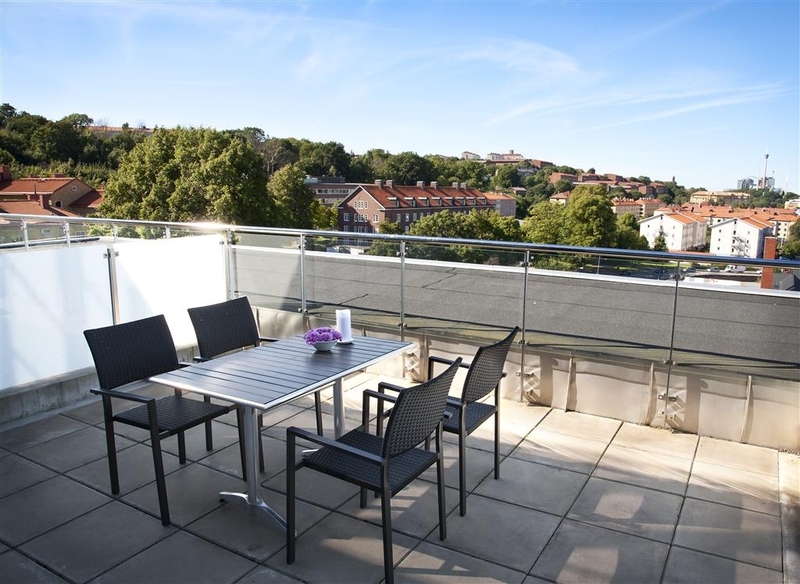 The location is perfect for family who want to enjoy Liseberg as it is only 3minutes by tram to Liseberg. The only downside is the breakfast choice is limited for us. Overall we are happy and laundry room help us to wash our clothes. "Great hotel and staff with in-room cooking facilities." 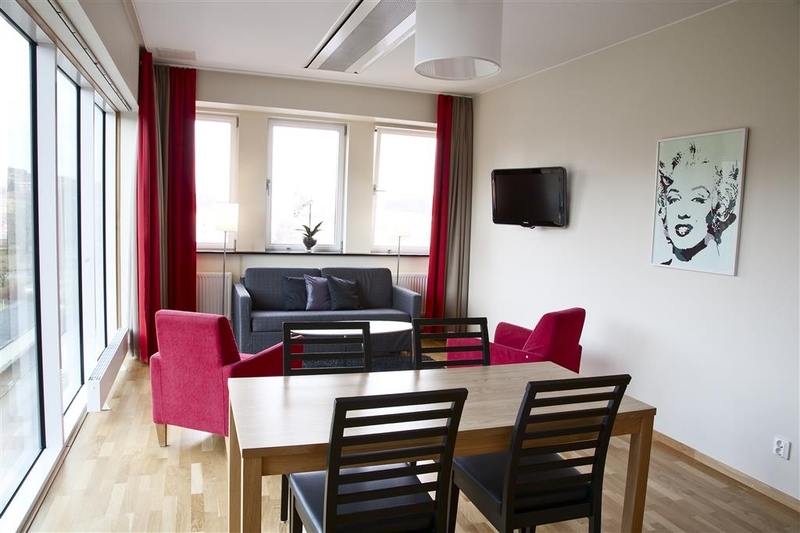 I have stayed here when in Gothenburg for the past 2 years, staff are always incredibly helpful and friendly and great value and location with tram stop close by providing easy access to city center. 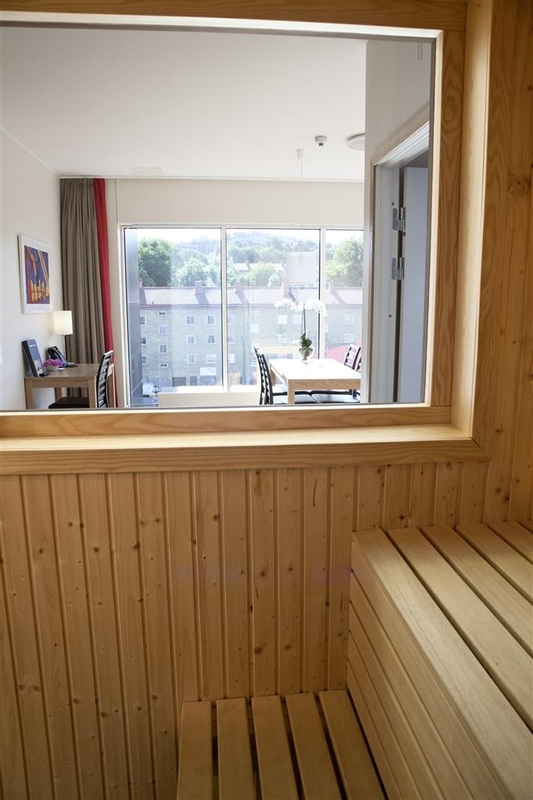 Rooms are comfortable and 8th floor rooms have balconies looking towards Liseberg. Supermarket next to hotel, hairdresser as well. Restaurant and bar staff also very friendly and helpful. "A good hotell near all the fun"
The hotell is in the first glance a bit strange, it looks like a office building, but the rooms are nice, big and clean. It is very close to the trams and we bought a Gothenburg city card at the hotel so we travel all over the town with the trams pre paid. very nice. It is walking distance to Liseberg and Universeum so that is very good for a family weekend. "Not bad...except for the bouncy bed!" Room was large & bright for a family of four. But double bed was very soft and it was a like sleeping on a trampoline every time my husband turned over. My family ate in the bar and enjoyed the food. Nicely designed foyer. Also there is a supermarket in the complex. It is a tram ride to the city, approx. 15mins+/- Breakfast was okay, nothing exciting. Thank you for your feedback. I´m sorry to hear that you had a bad experience with the bed, I´m glad that you letting us know so we have a change to look in to the problem. I hope you come back to us soon again, Best Regards, Lisa. We was here for 2 nights. Parking at the hotel cost 145 sek for each night . Got a room went to the back , and high up 7 th floor. Quiet and nice. The "apartment" was big, eventhoug it's the standard room at the hotel. Bed was lovely, just right firm . Had dinner at hotel's restaurant, nice and big portions. Hotel near to tram station and the tram was easy to use also in the very late night/early morning. Can highly recomand this hotel, nice service, clean and good buy for money. We booked a room for 4 and was assigned a Suite with free breakfast. You can access the hotel life lobby directly from the parking area which is very convenient. The high floor Suite room is very spacious; very clean and nicely furnished and comes with its own sauna (Whoa!). There is also a kitchenette with microwave. The breakfast spread is pretty good with cold cuts, various types of milk and cereals and even freshly squeezed orange juice. The front desk staff was very courteous and friendly. Good connectivity with the free WIFI. 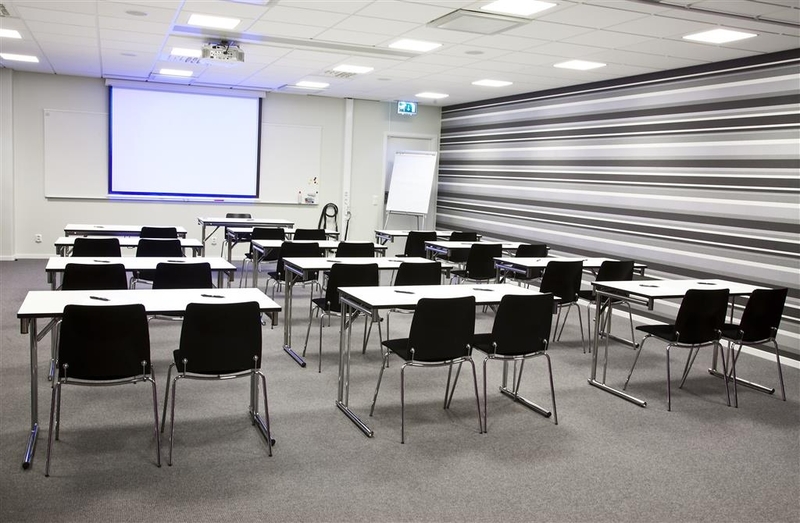 The hotel is located about 10 minutes drive from Gothenburg center so bear this in mind if you're not driving. Overall, we highly recommend staying here if you're visiting Gothenburg and do try and spend a couple of nights if possible. Thank you for your feedback! I hope you come back to visit us again! Lisa, Reservation Manager. Had a family suit. The twin beds in master bedroom drifted apart. The bed sofa was a little too narrow for both children our son thought, perhaps 140 cms. Although the trafic noise was next to zero because of Easter holiday, the apartment noise was annoying, perhaps fridge or airconditioner? I had to sleep with ear plugs, but the rest of the family slept well. You can easily spend a week here. There is fridge with a freezer compartment, and even a dishwasher! 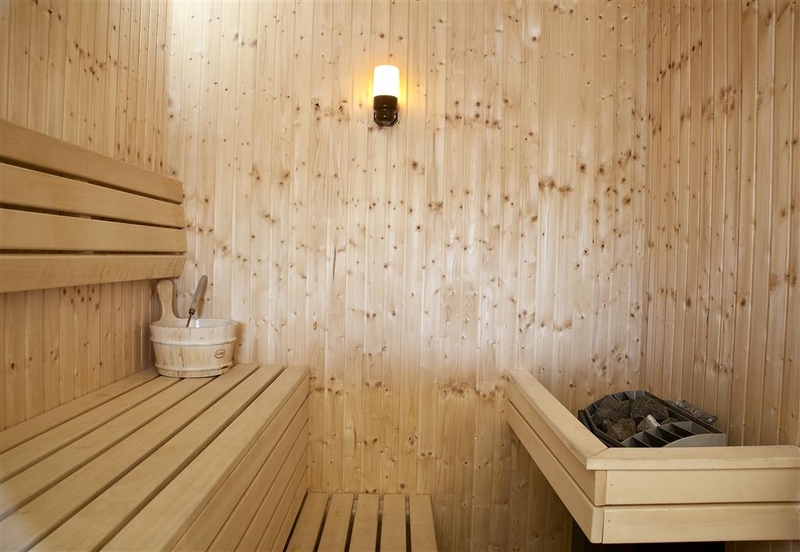 The main reason we wanted this room though is the sauna. Wonderful! Hotel restaurant was noisy because of all the children families. I recommend the restaurant if you have children, but not as a nice dinner. Food was good, drinks were plenty to choose from. Breakfast was ok, nothing out of the ordinary, except you could make your own fresh orange juice! Dangerous if you are allergic to citrus... You could also make your own waffles, as you can in many Swedish hotels nowadays. Thank you for your feedback. I´m sorry for the noise that disturbed your sleep. Sometimes the fridge does make a sound, but we can fix that. Please contact the reception at your next stay and we will gladly assist you. I hope you come back to visit us soon again, Best Regards, Lisa - Reservation Manager. "Great connectivity, Big rooms with kitchen"
Had recently stayed here for 2 weeks & was very happy with my stay. Hotel is close to Elisedal tram stop with great connectivity. Rooms are big & have kitchen facilities. Willys supermarket right next to the hotel which is great. Breakfast was just ok. Would definitely recommend for anyone traveling on business / leisure. "Out of the Way - Easy to get to"
The service, especially Amanda, and the hotel itself was great. Breakfast was very nice with little extras like do-it-yourself fresh orange or grapefruit juice. The room was very roomy and comfortable and they have a nice sauna (that no one seems to know about). The room is set up for a long stay with a full kitchenette and they even have a laundry room for the use of guests (which came in handy because my stay was longer than expected and I was running out of clean clothes). The building houses several companies with the hotel rooms in one wing - you'll want to ask for a room with a city view on an upper floor - otherwise you'll be looking at the other part of the building. The location is actually a little bit outside of the city, but very close to a tram stop so it's easy to get around. If you're driving, it is closer to the airport but if you don't have a car you would have to take the tram into the city and transfer to the bus or train there. Travelled as a group of 4 people and we booked two massive rooms. 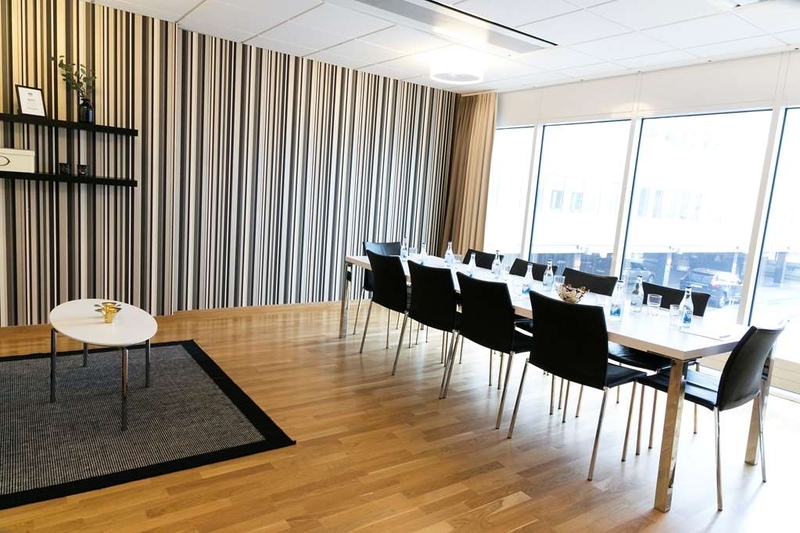 The rooms were quite pricey but were worth it considering most hotels in Sweden are costly. They were self-catering rooms which had all the necessities and cutleries we needed. There was a mini fridge and cooker. The bathroom was spacious and spotless. There's a dining table and a desk with chair. There's also a sofa. The duvets were so silky and soft. Cannot fault this hotel. Would definitely come back. Front desk were the most helpful and friendliest too. "Excellent tram system outside of hotel"
"Very satisfied with this hotel"
I stay at this hotel quite often in relation to work. I like this hotel, even if it is not in the city center of Gotheburg more in an office area, but it is easy to take public transport (10 minutes) or walk to the city center. Easy parking if you come by car. Nice rooms/apartments with cooking possibilities. Very nice and helpful staff in the reception. Nice small eating places nearby and a gosseryshop in the same building as the hotel. Also restaurant and a bar in the hotel. 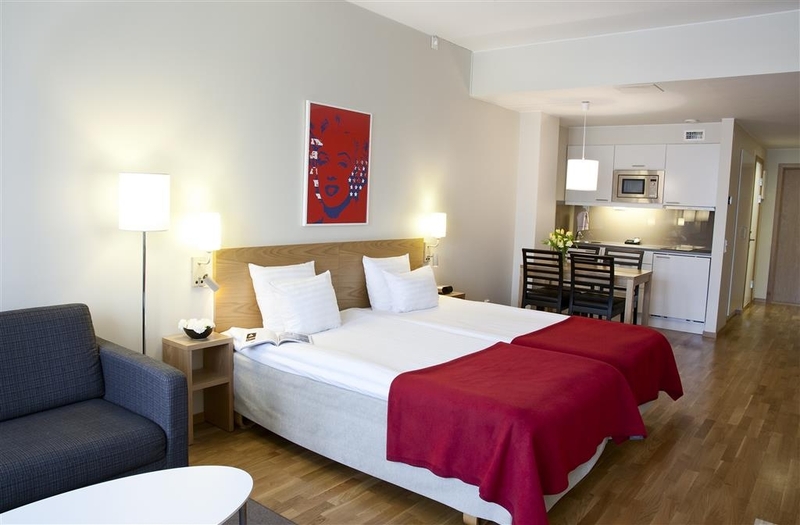 "Very nice modern friendly clean hotel"
As a regular visitor to Goteborg both for business and and pleasure, I find this hotel is an easy choice, its clean, modern and the staff are friendly, The rooms are large and more importantly the beds are comfortable. Its not city centre located but there is a tram that takes you into the centre in only a few minutes. Thank you for your feedback. Hope you come back to visit us soon! "Quite simply it just works!" The Hotel Mettagonen is not a luxury landmark hotel. It is actually better than that - it gets it right in all the key areas and means that it is my hotel of choice. Here are some examples;- Nice staff - I've been twice - equally good both times Wifi - Signal actually strong in your room and fast. Watched English TV over tablet - without buffering or stopping Cooking facilities - modern, clean and good Room & beds - clean and comfortable Breakfast - Good variety - tasty food Frankly I can't fault this Hotel - it's not in the centre but close to tram tracks - and good (chargeable) parking facilities. So next time I'm in Gothenburg, I will be back! Thank you for your feedback. I´m glad to hear that you had a nice stay with us and that you will come back again. You are warmly welcome! Best Regards, Lisa. 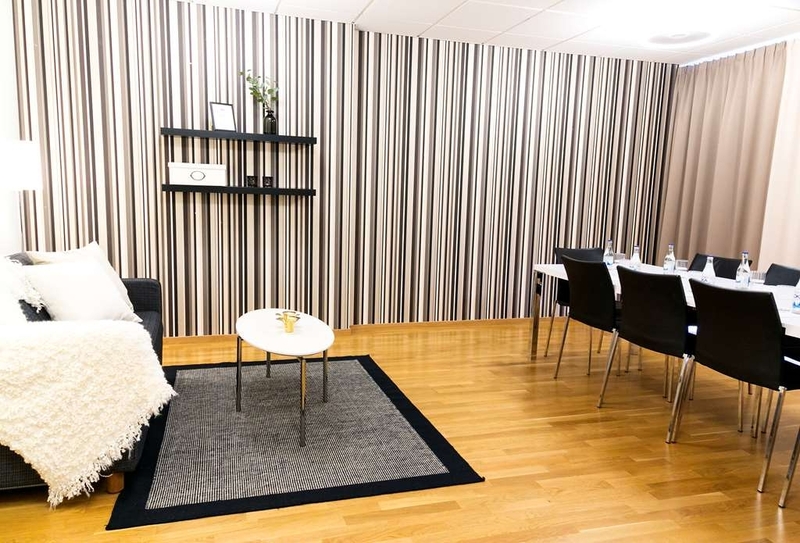 "Friendly and great service as usual"
I have stayed here on my business trips to Gothenburg for over 2 years now averaging 9 -10 nights a month. The reception, bar and restaurant staff are incredibly friendly and a good laugh. 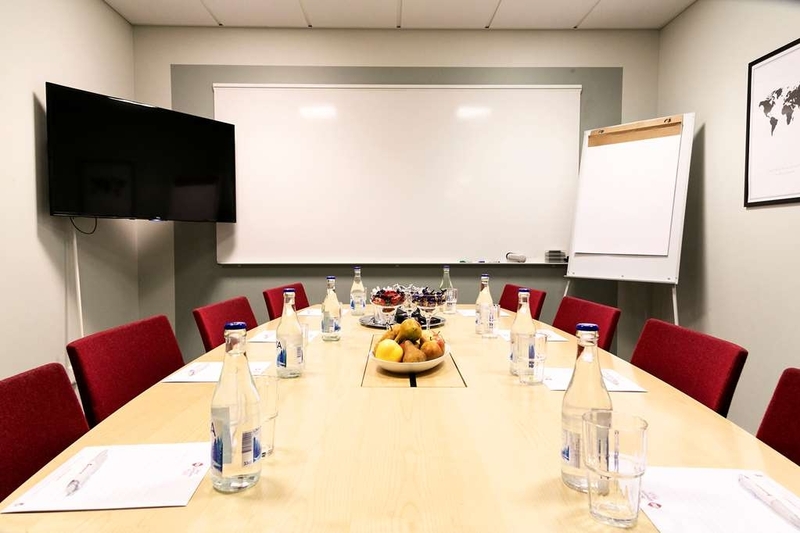 Location is excellent for access to city center by tram, Liseberg amusement park is just next door and some great walks in the forest above Mölndal. Restaurant food could be improved as well as a bigger choice from a very restricted menu. Thank you for your feedback! Welcome to come back and visit us soon again! "Nice hotel with large rooms"
The Mektagonen hotel is a good choice for families on a Budget, as each room comfortable sleeps a family of four. The hotel is located in a slightly drab part of town (industry, supermarkets, office Blocks, etc) - but it's nice and quiet. Parking is also good. The staff is very welcoming and friendly; the breakfast buffet is excellent. 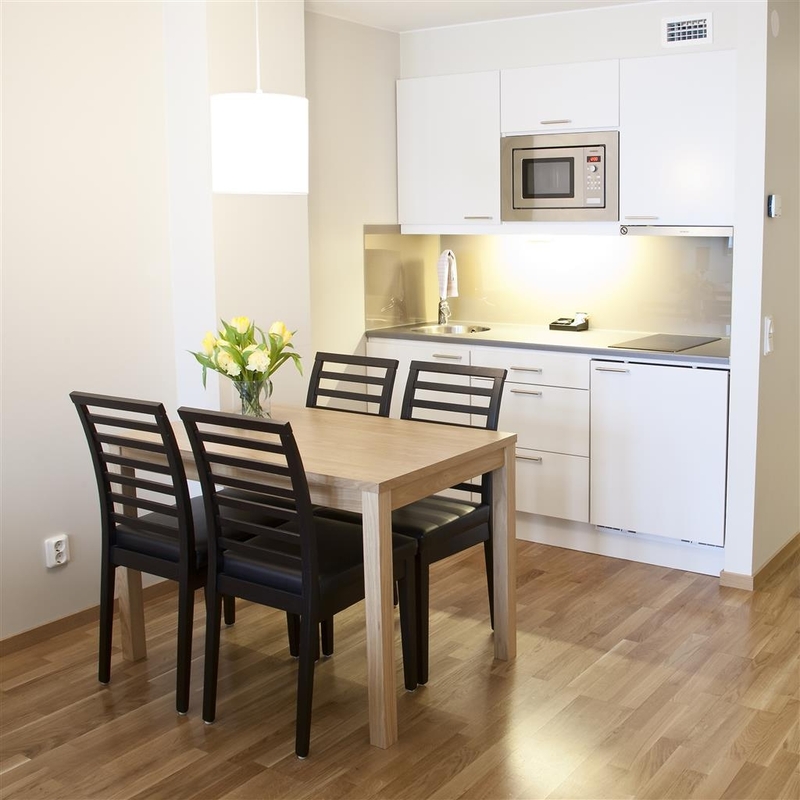 Rooms are big and spacious, with a small kitchenette where you can prepare your own meals. Perfect for families that do not want to - or cannot afford to - eat all their meals out. With a supermarket next door, organizing your own meals is easy. In addition, the hotel has laundry facilities for guest use. Thumbs up for that! One of the best features of this hotel is the tram stop right outside the hotel. The trams depart every 5-10 minutes, and will take you straight to the amusement park Liseberg and downtown in minutes. Very convenient. Tickets can be bought in the hotel reception. I've stayed at the Mektagonen several times, mostly because of the convenient parking and the large rooms. 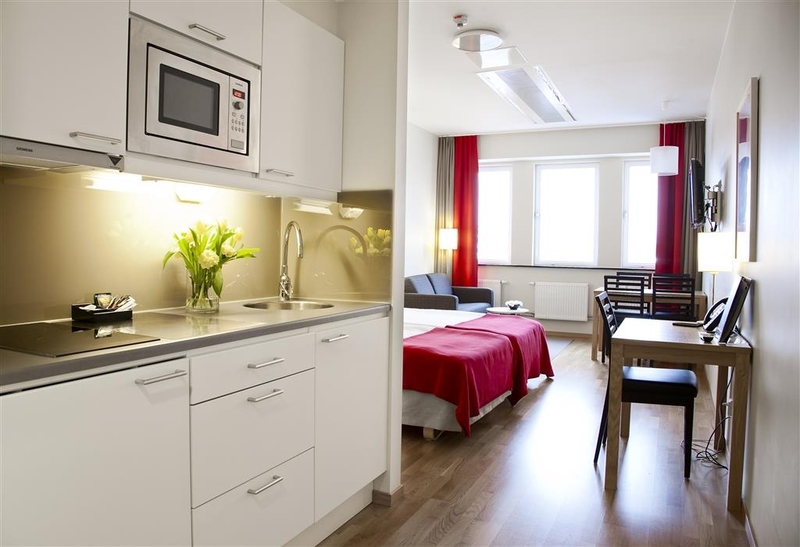 It's not for hip urbanites who want a buzzing streetlife right outside the hotel, but very suitable for families and other travellers who want a convenient place to stay i Gothenburg. Thank you very much for your feedback. It's nice to hear that you had a good stay and that you are a recurring guest. I hope you will come back to stay with us soon again. 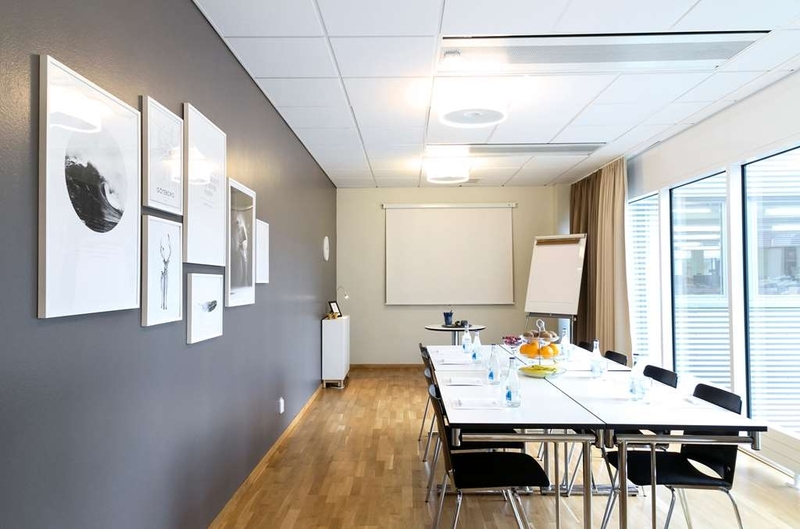 "boring location but easy acces to city center"
This hotel is located a bit outside the city center near to some industrial buildings and at walking distance from tramway. Within 10 minutes you are in the center of the city with the tramway. The bed was great ! the room was big with kitchen and table for 4. The breakfast was okay but a bit "sad" and "boring". The staff was great and helpfull. As this hotel is part of a buiolding with other facilities and companies it's a bit strange and misses a certain soul but in general it was fine. Thank you for your feedback. It´s good for us to hear what guests likes about the hotel and what we can improve. I hope you will come back to stay with us again, welcome! "Wonderful hotel with wonderful view"
If you want a spacious room, and a good view and kitchen , you can't beet this hotel in Gothenburg Sweden.. The staff are friendly , especially Erica, They work hard to make it happen for you . Stayed there for last 5 weeks in Sept/Oct 2015. Only challenge is , not much restaurants around the corner. But if you are going to cook yourselves , there is a good groceries stores ( Willis) next door. Great place indeed. Thank you for your feedback. It´s nice to hear that you had a good stay. I hope you come back soon again! New hotel with very large rooms. A small kitchen and refrigiator is a big plus. 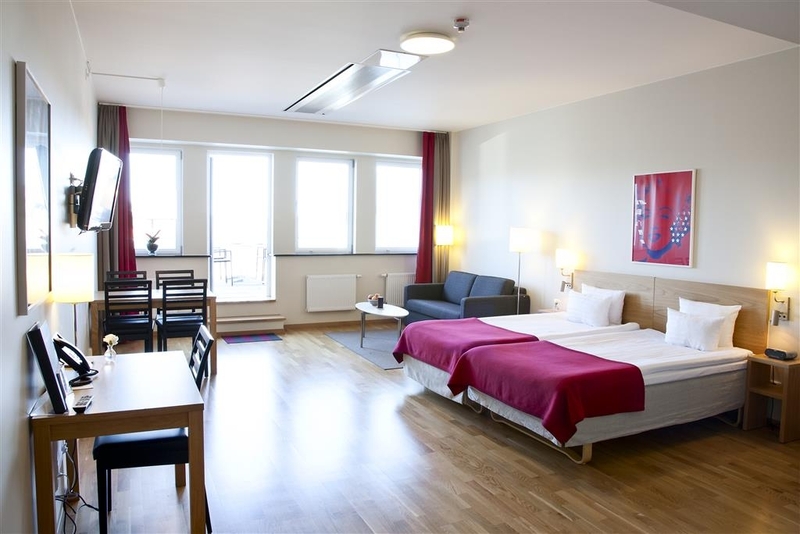 Large beds 105 cm pr bed and a large terasse, overlooking Liseberg and that area. But the hotel certainly lack charm. Its an office building in a very uncharming area, a bit outside of town. Yes its only 7 stop to the city center by tram, but there isnt any city life near the hotel. View is great and the room also, but the atmosphere around is a bit dull. If you need to cook food yourself, there is a gigantic Maxi on the other side of the road. Rooms are all quiet, no noise from roads or highway, although very close to the hote, and the hotel is easily accessed if you travel by car. So if you like city life next door this isnt the hotel for you, but if you like a quiet place to sleep, easy access by car and if you bring your kids (rooms have a sofabed), this is the place for you. Thank you for your feedback! Hope you come back to visit us soon again! 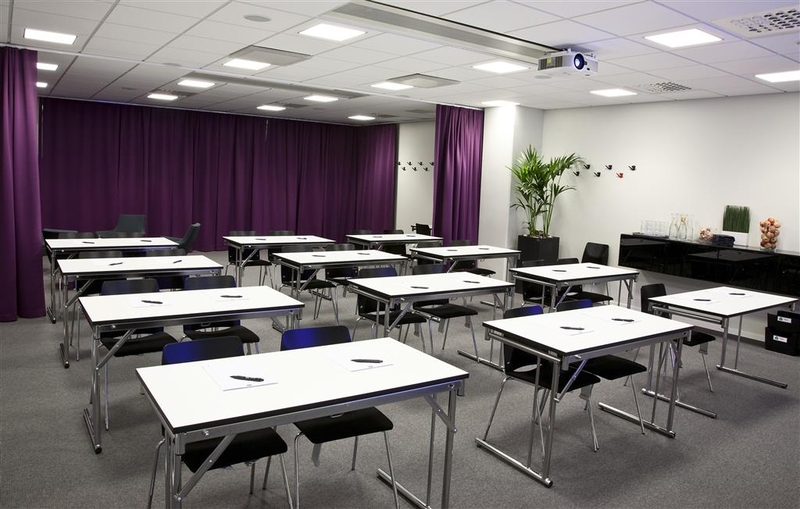 The Hotel is located 4 tram stops away from trade Show Center and can be reached easily. Rooms are clean,beds are good,just a little charm is missing... Breakfast is very good,breakfast room could also have some more decorative elements. Overall:Good! Thank you for your feedback. I'm glad to hear that you had a nice stay. It´s good for us to have all feedback we can get so we can be even better in the future! I hope you come back to us soon again! Simple but adequate and clean accommodation. Located out of town but serviced by a regular tram. Buffet breakfast has a good selection. 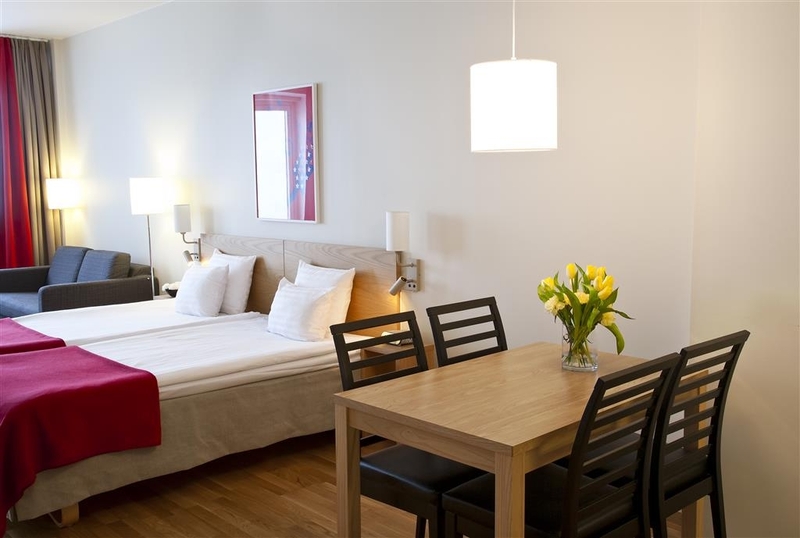 Would recommend if you are looking for simple but good value accommodation in expensive Gothenburg. Thank you for your feedback. It´s important for us to know what the guest like and what we can do better. I hope you will come back to us soon again! "Spacious room and friendly staff"
The hotel is connected to an office building, so it is very quiet at night. Very convenient as it is next to a grocery store. Staff is very helpful as I accidentally broke a glass in the room and they helped to clean up properly. Breakfast is of good choice although you have to squeeze your own fresh orange juice. 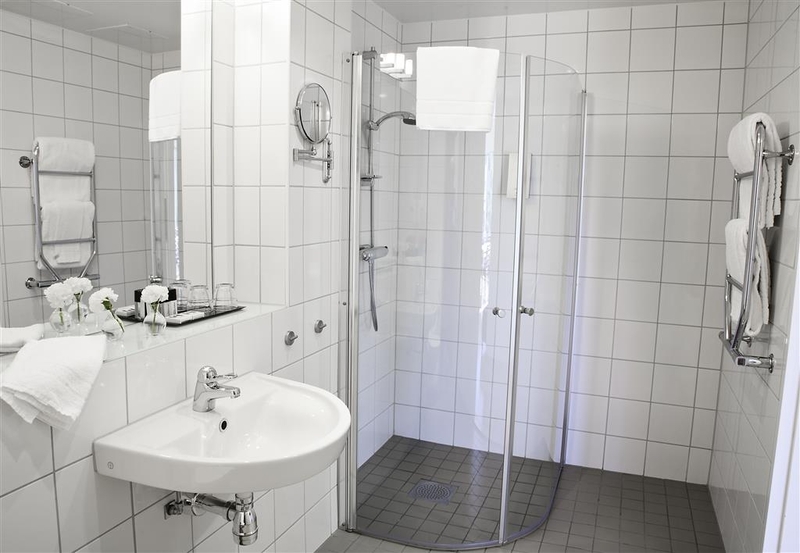 Room is spacious and shower is the best amongst all hotels and apartments that we stayed in Sweden and Norway. Overall, great place, reasonably priced for short stay. Dear, Thank you very much for your feedback. It's nice to read about your stay and that you liked the hotel. I hope you come back to us soon again! 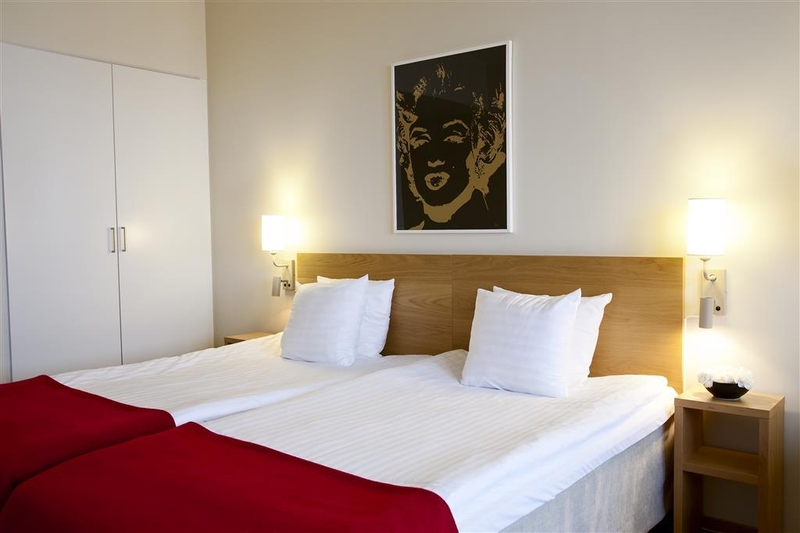 Very nice hotel located not far away from Liseberg. I recommend this for families. 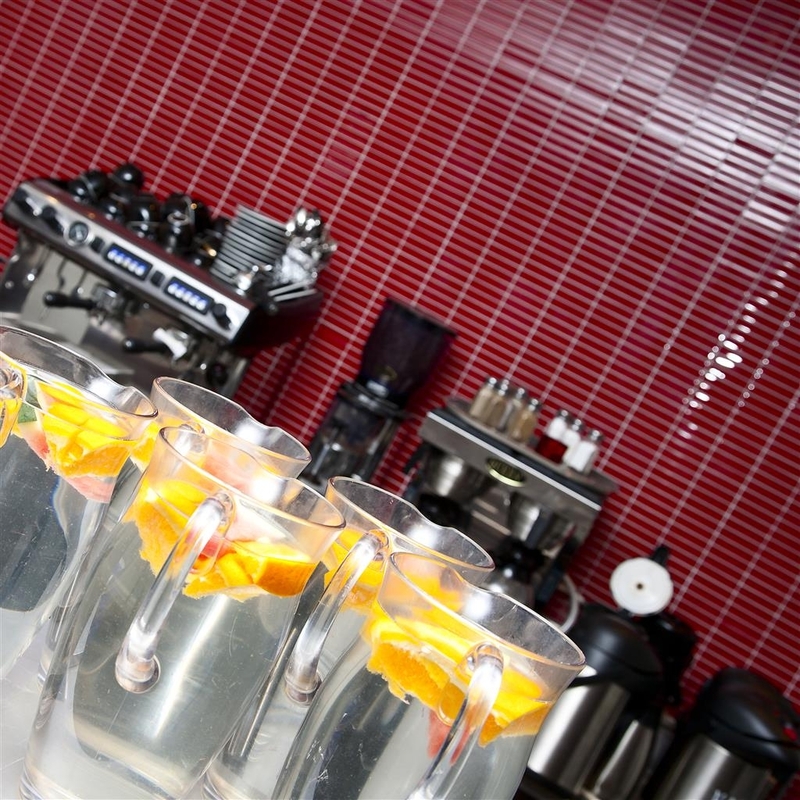 The atmosphere is not like a hotel because it is located in an office building, but it is worth to give a try. Very good parking in the same building. Tack för er feedback! Kul att ha er som gäster hos oss och hoppas att ni kommer tillbaka snart igen! One of the ugliest hotels I have stayed in but for a reasonably priced city hotel with huge and comfortable rooms who cares? The tram stop was just outside which gave us access to everything and we throughly enjoyed our stay. To warn travellers the pillows in Sweden are awful, small and very firm, this was the same in every place we stayed. Thank you for your feedback! Your business is very important to us and we value your feedback. By telling us what you liked about your stay and how we can improve, you are helping us deliver a superior experience for you and other guests in the future. We hope you will come back and see us again soon. We stayed at this hotel 3 years ago and again last week. It is a great hotel, very clean, spacious rooms. It is conveniently located next to the train so easy to get around Gothenburg. It is reasonably priced and has great wifi and a great breakfast. Thank you for your feedback. I hope you come back to visit us soon again!